The Nominating and Rules Committee has forwarded a resolution to the full city council that would encourage diversity on the city’s volunteer boards and commissions. Jonesboro has several boards and commissions that citizens can serve. 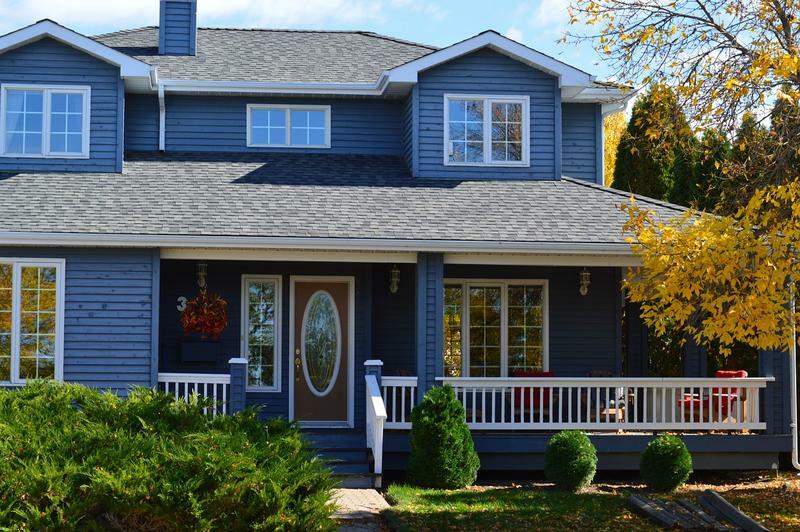 Some of the boards and commissions include the Board of Zoning Adjustment, Land Use Advisory Committee, Metropolitan Area Planning Commission, Civil Service Commission, Auditorium Commission, Municipal Airport Commission, and the Advertising and Promotion Commission. Jonesboro Mayor Harold Perrin says the key to Jonesboro’s success in the future lies in how it can attract more people to not only come to the city, but decide to stay. Perrin says some of next year’s budget has specific items that will address quality of life issues, such as this example from the city’s Parks and Recreation budget. Elected officials in Jonesboro will NOT receive a pay raise at this time. 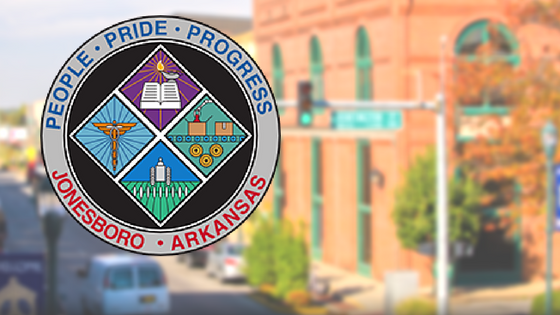 The Jonesboro City Council amended an ordinance last night that called for six-percent pay raises for elected officials in Jonesboro. 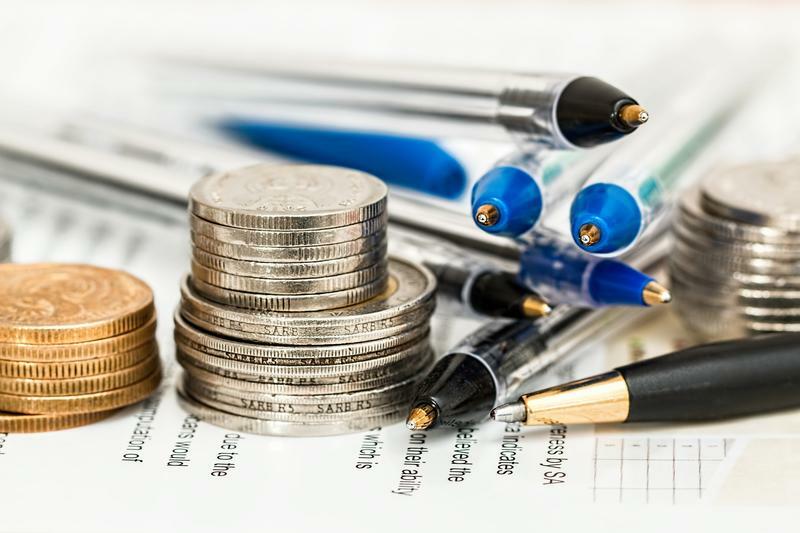 The original ordinance called for all elected officials to receive a raise, but alderman made the change that took the city council out of consideration. 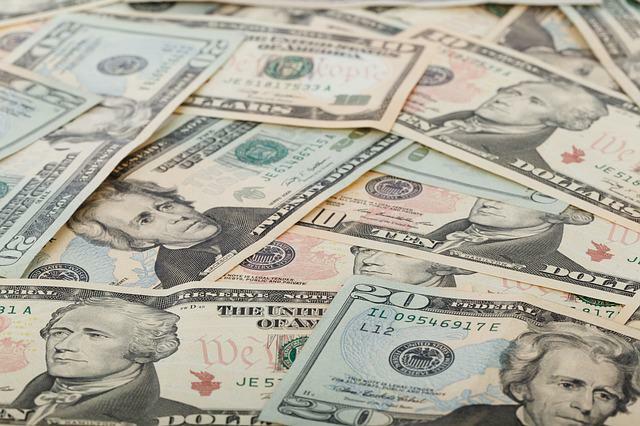 They then voted on whether or not Jonesboro Mayor Harold Perrin, City Attorney Carol Duncan, and City Clerk Donna Jackson would receive a six percent raise. That was voted down 10 to one. The Jonesboro City Council is expected to decide at the next meeting on whether or not to give elected officials a six percent raise. More debate on the issue ensued during the meeting last night, with most aldermen against giving themselves, Jonesboro Mayor Harold Perrin, City Attorney Carol Duncan, and City Clerk Donna Jackson a pay increase. Alderman Joe Hafner says after reviewing a draft of next year’s budget, he doesn’t think raises are appropriate. L.J. Bryant is now the new Ward 5, Position 1 councilman. He was selected out of a group of 8 applicants for the position at Tuesday night's city council meeting. The Jonesboro City Council is accepting applications to fill a vacancy on the council. Darrel Dover resigned his position at last week’s meeting. He is moving to Bentonville with his wife to spend more time with their grandchildren. Applicants who are interested in applying for the position must live in Ward 5. Applicants must fill out paper work and submit at resume at the Jonesboro City Clerk’s Office, which is located in the City Clerk’s Office. The deadline for filing will be Tuesday afternoon at five. The unexpired term lasts for the next 17 months. The Jonesboro City Council passed a resolution supporting state and federal legislation that would enforce the collection of sales taxes from online transactions. The resolution now goes to the Arkansas Municipal League in Little Rock, where officials will ask for Governor Asa Hutchinson to call for a special session in a few weeks to consider the legislation. The state legislature voted down this legislation in the last session. Last night’s city council vote was not unanimous as eight aldermen voted in support of the resolution and four voted against. Jonesboro Mayor Harold Perrin. A Jonesboro Alderman is stepping down from the city council. 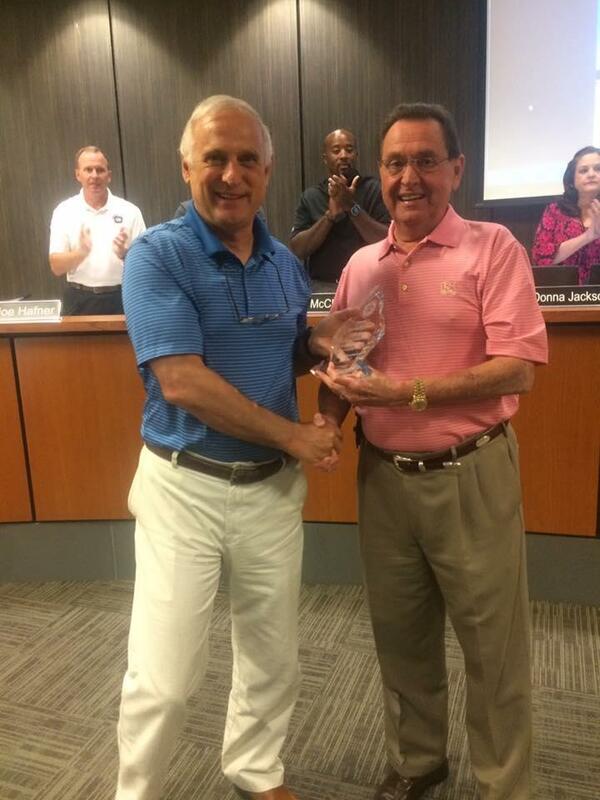 Darrel Dover was recognized by Jonesboro Mayor Harold Perrin for years of service on the council. Dover was elected to the council in 2003. He tells KASU news he has enjoyed his time of service on the council. A split Jonesboro City Council did not pass an ordinance that would have allowed for a large apartment complex to be built on South Caraway Road in Jonesboro. The vote was 6 voting for the project and 5 against the project...the ordiance needed 7 votes. 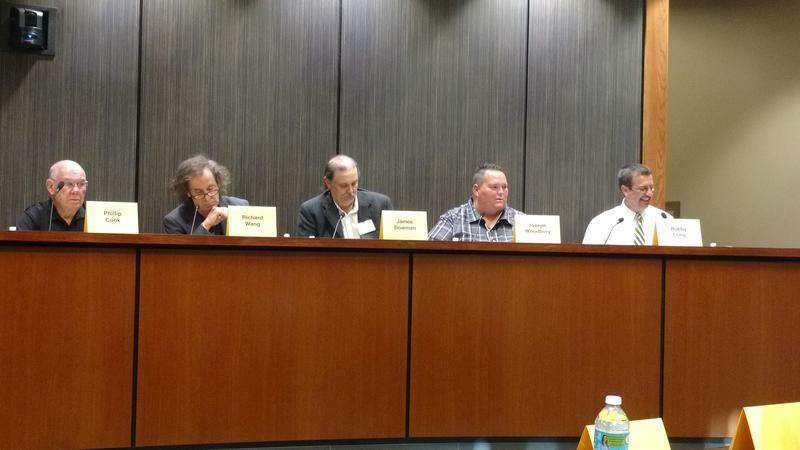 Alderman Chris Gibson was absent for the meeting. The complex would have established 300 multi-family units. The property is currently zoned for commercial property and the request was for the area to be rezoned for residential property. Roof repairs, field funding and equipment…those items addressed at last night’s Jonesboro City Council meeting. The council passed an emergency clause that allows for 35-thousand-dollars of repairs to the roof at the old justice complex. Over time, water leaks has damaged the roof to the point that immediate repairs are necessary…that according to city officials who planned to do renovation work at the building and discovered the damage. 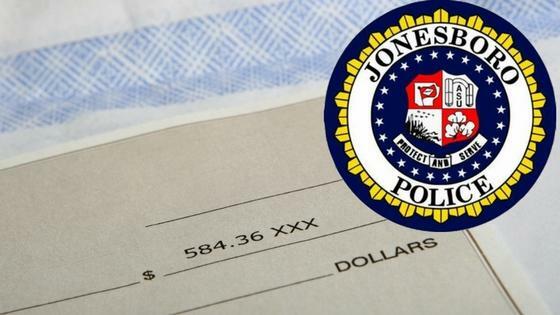 The Jonesboro City Council waived second and third readings on an ordinance to give pay increases to the Jonesboro Police Department. That means that officers will immediately see a bump in their pay, which many have criticized as being very low at just over $31,000 a year. The Jonesboro City Council approved a step plan that would give raises over numbers of years of service. Jonesboro Police Chief Rick Elliot says the plan will help in retaining and recruiting more officers for the future. 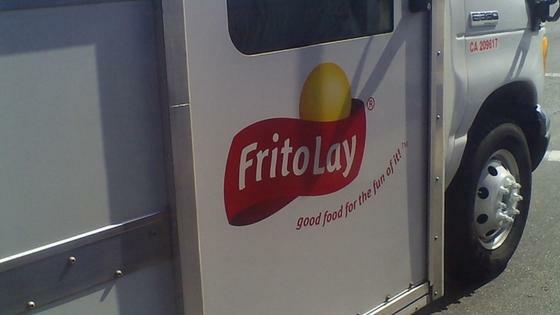 Frito-Lay is planning another expansion of their Jonesboro plant and has asked the city for financial help. 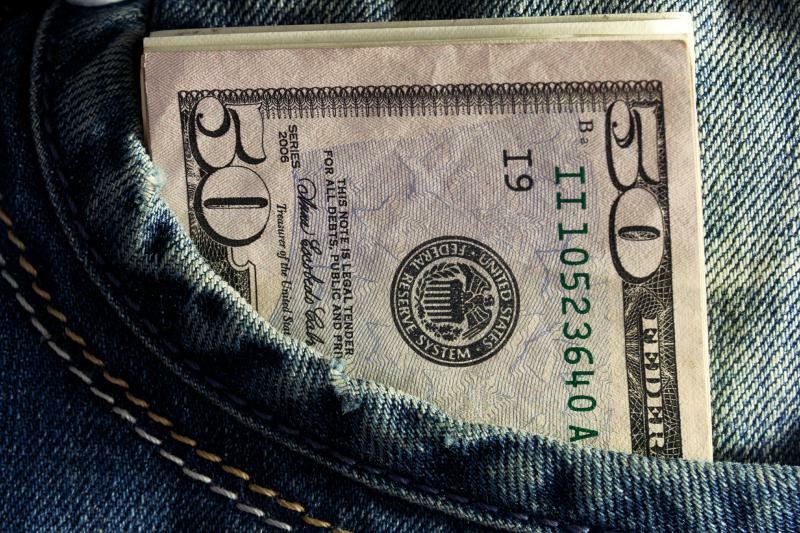 The Police Officer Compensation Committee has a plan for addressing Jonesboro Police salary. Chairman of both the Officer Compensation and Public Safety Council Committees, Alderman Mitch Johnson briefly revealed the plan to the Jonesboro City Council at on Tuesday’s meeting. 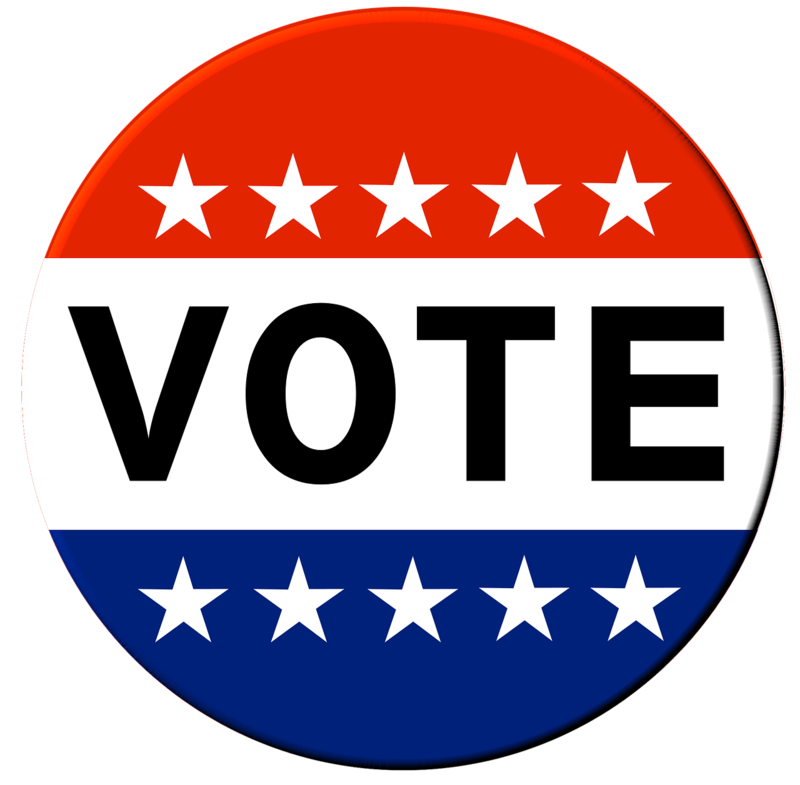 Early voting ends today in Jonesboro in the Ward 6, Position 1 alderman’s race. Bobby Long and Richard Wang are facing each other to determine who will be on the city council. Tim McCall resigned from the council earlier this year after he moved out of his ward. The winner of tomorrow’s special election will serve on the council through December 31st, 2018. Polls will be open from 7:30 in the morning to 7:30 tomorrow night. 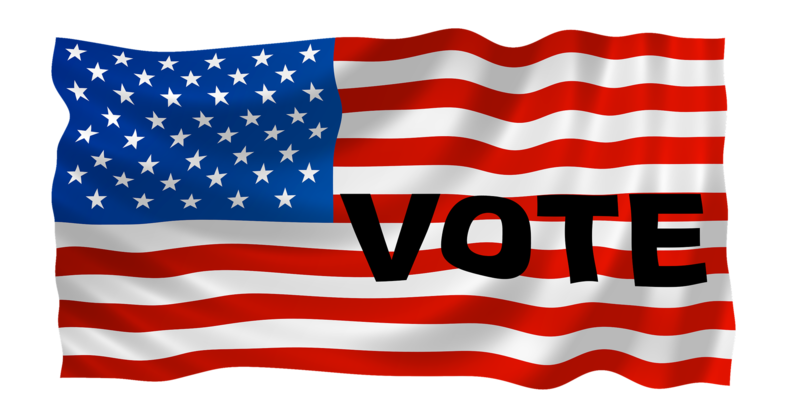 Jonesboro residents begin early voting today (Tuesday) on 2 different measures. Voters will get to decide on who will fill the vacant alderman seat for Ward 6, Position 1 left by Tim McCall. McCall resigned from his seat in early January after moving out of his ward. The 5 candidates running for the position are Phillip Cook, Dr. Richard Wang, Captain James Boweman, Joseph Woodbury, and Bobby Long. While the Property Maintenance Code and the Jonesboro Police salary issue received a little attention at Thursday night’s Alderman Debate, one theme took center stage more than any issue. The 5 candidates (Phil Cook, Dr. Richard Wang, Captain James Boweman, Joseph Woodbury, and Bobby Long) running for the Jonesboro City Council Ward 6, Position 1 seat felt there should be more transparency between the city government and its citizens. Also discussed at the debate were minority issues, infrastructure, and economic development. After meeting with local businesses Friday, Jonesboro Mayor Harold Perrin is against adopting Dayton Avenue as part of a deal in the Old Fairground Bankruptcy case. The Jonesboro Sun reports Perrin asked the Jonesboro City Council to delay the decision to adopt the roadway. He said he needed time to meet with neighboring businesses and receive financial assistance to bring the road up to city standards. The Committee to Repeal Property Code 105-2 has submitted 585 pages of petitions opposing the controversial property maintenance code. The Jonesboro Sun reports, the committee submitted the petitions on February 12 bearing 5,032 signatures from Jonesboro voters asking for a special election. Craighead County Clerk Kade Holliday said the committee needed 3,315 signatures for a special election to be called. Three Jonesboro residents are seeking the vacant alderman position on the city council. Craighead County Clerk Kade Holliday told the Jonesboro Sun Thursday Phillip Cook, Joseph R Woodberry, and Bobby Edward Long were running for Ward 6, position 1. Each candidate must collect the signatures of 30 registered Jonesboro voters by March 11th to appear on the ballot. Holliday’s office is currently working to verify the signatures on the candidate’s petitions. The Jonesboro City Council Finance Committee is considering an ordinance which could add more than $1 million to the city employee pay plan. Committee Chairman Darrell Dover told KAIT-TV that full-time city employees would receive a $1,000 pay increase. Full-time employees with more than one year of service would receive $75 for every year employed up to 30 years annually for longevity pay. The Jonesboro City Council plans to discuss the 2016 operating budget at their meeting Tuesday. The Jonesboro Sun reports the council heard its first of three required reading of the proposed budget on December 15. $42.32 million has been set aside for maintenance and operations in 2016--almost $2.5 million less than in 2015. The Finance and Administration Committee of the Jonesboro City Council plans to discuss Mayor Perrin’s proposed 2016 operating budget. The committee will meet before the full council meeting scheduled for tomorrow. According to the Jonesboro Sun, the total budgeted expenditures for maintenance and operations is about $42 million for 2016, down almost $2.5 million from the 2015 budget. Also proposed is a $131,000 budget increase for the city’s E-911 dispatching service to hire an additional full-time call taker. Mayor Harold Perrin supports the Jonesboro Property Maintenance Code as written for its scheduled final reading. Perrin told the Jonesboro Sun Wednesday he saw “no changes that need to be made to it.” Supporters of the code say it would help keep property values high and would help in eliminating dilapidated building in the city. Opponents say they like the exterior parts of the code, but are concerned about the interior requirements of the code, as well as the possibility of code enforcement officers from Jonesboro entering into homes.